Shaman healing or shamanic healing is one of the oldest natural healing traditions there is. It is the spiritual practice of ancient cultures and civilizations. Shamanism can be traced back all the way back to the San Bushmen of Africa, they are genetically the oldest people on earth. Shamanism is practiced all over the world from Greenland to the Amazon to Australia. Shamanic healing treats ailments by mending the spirit; they could be physical illnesses or mental illnesses. By getting rid of the trauma that is affecting the spirit, the person's body or mind restored to its natural balance. The role of the shaman does not end there; the shaman is also a spiritual counselor. A shaman goes into the spiritual realm to find the answers to problems which affect the community. A shaman not only processes knowledge of spirituality he also processes knowledge of natural healing herbs and medicinal plants. 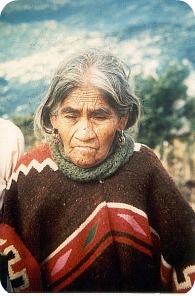 For some examples see the nomadic Kallawaya healers of Bolivia. The Australian aborigines: All herbal medicine. The shaman enters the spiritual world by putting himself in a trance. These are the plants and methods that the shaman uses to enter a trance state. Although shamanic healing is not practiced as much as it was in the past, it is still popular across some cultures today. Changes in lifestyle and the growth of other religions have reduced the practice of shamanism. Shamanic healing has a role to play into today's world, but it depends on how open the mind. There is a lot of cultural elitism in this world, many people seem to forget where it is they came from. Not everything which is old should be abandoned. Shamanism can help with depression, stress, anxiety and reduce blood pressure. It's not a modulation that has to be used on its own, it can be used with conventional medicine or with other therapies, take advice...research... and make your own decision. Return to natural healing home page.